I'm typing this hoping that the pouring rain outside is going to do the decent thing and ease off (or stop if it had any conscience!) for the Easter weekend... 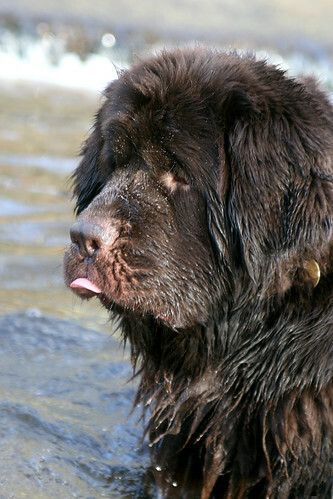 I know it's highly unlikely but a girl can hope! So in the more likely scenario that it'll stay wet, I've made an effort to get up the Forest a few times when the sun WAS shining after work. 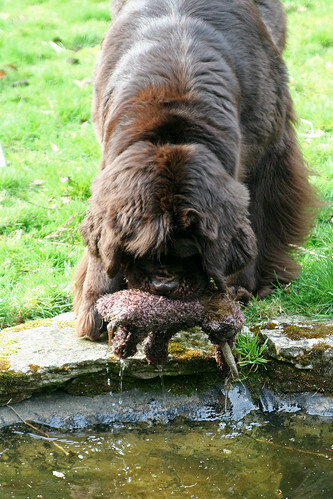 I also grabbed this shot of Martha in the garden - it's the result of my disasterous toy-throwing... poor furry mammoth ended up in the pond, but never fear because Martha embraced her water-rescue heritage and merrily fished him out. I've got one of my pages as project of the week on the 'do crafts' site this week. I don't get the chance to 'play' as much as before at work but it's noce to do the odd bit of web/mag work here and there! 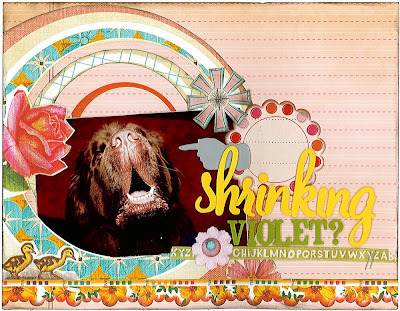 This page features papers from a new Papermania dog-themed kit. I don't actually use themed papers often, but having said that this one has lots of papers that aren't necessarily doggy themed so are great for every day too. I've also used some of the gorgeous Chocolate Box Core'dinations and the scalloped edged PM cardstock - the scallopy frames are from a PM Birthday stamp set... it's definately my favourite at the moment! The next page is 'just for fun' - always the best excuse - lovely new Sassafras papers and a big wodge of scrummy Thickers! 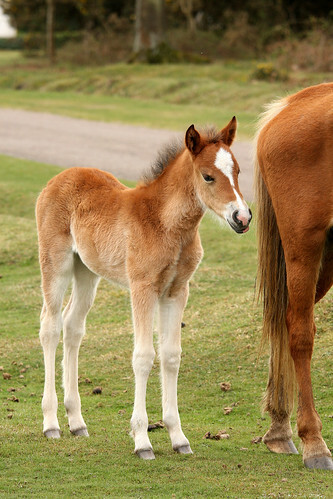 Adorable foal and lovely doggie pics as usual! I love all the new Sassafrass papers and Thickers are one of my top loves! 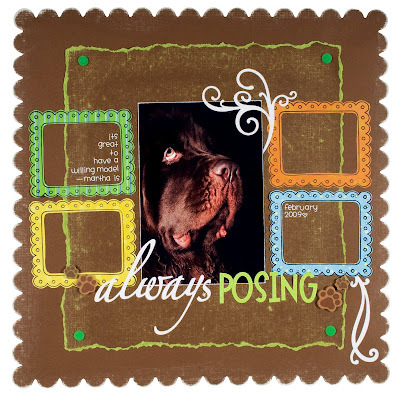 Love the simple design of the do-crafts page, and Martha's serious look shows pure attitude! Sassafrass is just soooo summery, roll on July! Oh, and thanks for getting back to me! Love the top photo of Martha sticking her tongue out and the new foal. We should have some new arrivals very shortly. Such an exciting time..